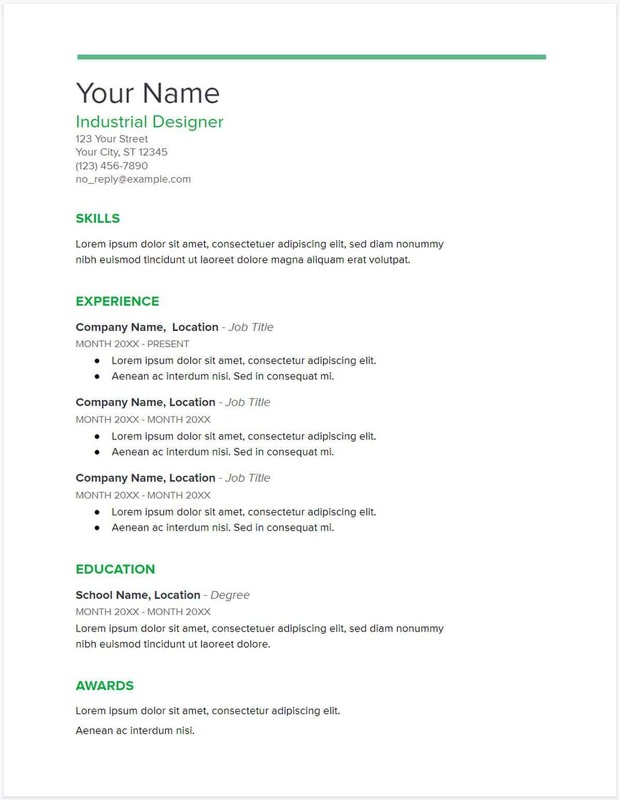 Impress the hiring managers and score a job interview with a well-designed free Google Docs resume template. 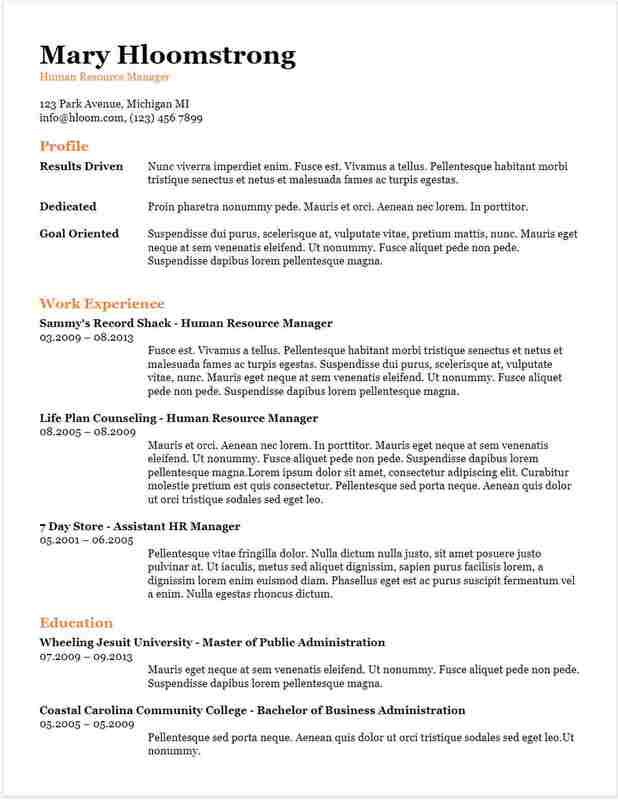 Why Is Having a Resume Template Important for a Job Interview? Google Docs Resume Template Definition: A resume layout or format generated in Google Docs. 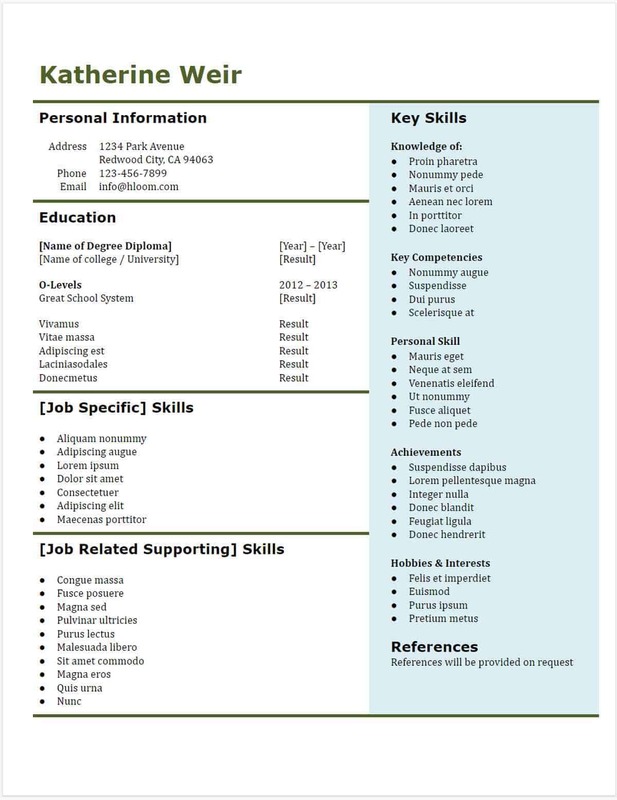 The resume template comes in different themes, designs, and styles that fit each job seeker’s preference. Your resume is crucial for making the first impression on the hiring manager or the company as a whole. This is why you should put your best effort into making a comprehensive, creative, and compelling resume to properly convey the message of who you are and what you can offer to the company. 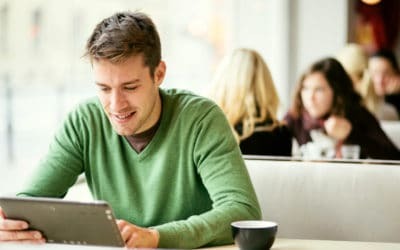 Creating your curriculum vitae (CV) from a free Google Docs resume template can be quite overwhelming at some point because you have to carefully think about the information you will put on paper. For this reason, having a resume template as your guide for creating personal information can make your life easier. It allows you to organize your personal information, which will look neat, professional, well-written, and well-organized. The template guides you on what information to include in your resume without having to add personal data your hiring manager will find irrelevant. You’ll have a functional resume online. You can create and work on it anytime and anywhere. It also makes writing a resume or CV easier. You can easily copy the format. Aside from the fact that a free Google Docs resume template is easy to fill out, it also lets you edit your information easily and quickly without any complications. After reviewing your resume, you can simply modify its contents to your preference. 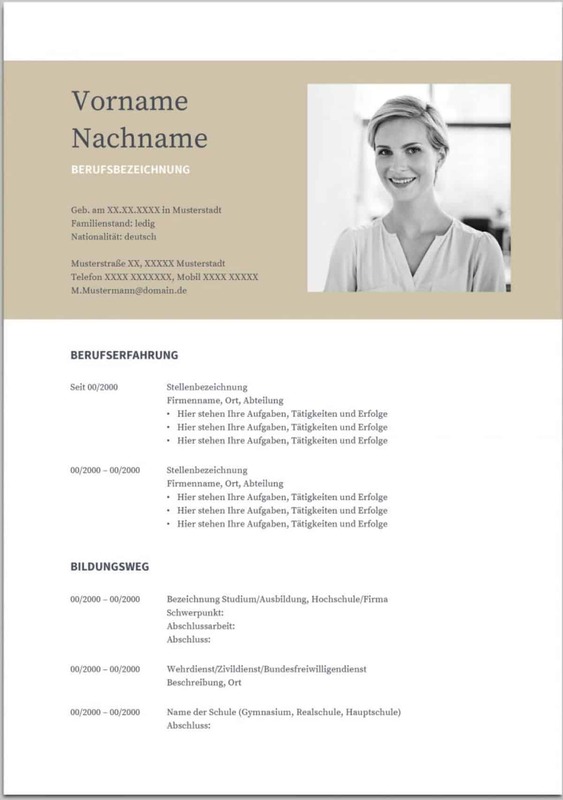 A resume template also helps create a good impression on the hiring manager based on how you present your CV. It allows the interviewer a peek at your personality just by looking at the template you are using. Having a resume template also saves time because you no longer need to think of the layout and just fill out the information directly. Aside from that, it also saves time when you are applying for more than one company. A resume template makes readability easy and can grab people’s attention quickly, especially if you are using a colorful and artistic layout. Google Docs resume templates give you a wide range of different styles and designs, so you can choose to become as simple or as creative as you can with your CV. 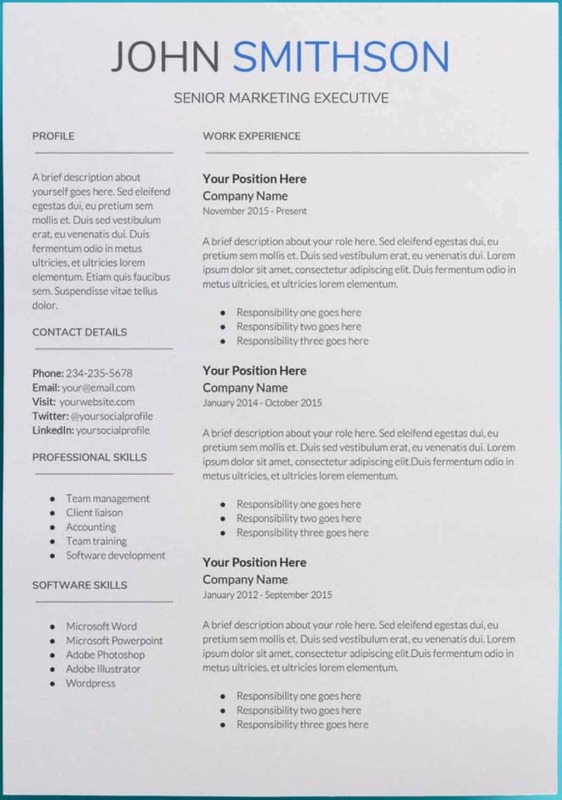 Using a resume template also allows you to focus on the content rather than the layout. This provides an opportunity for you to organize your thoughts so you can come up with professional, well-organized, and smart information about who you are. 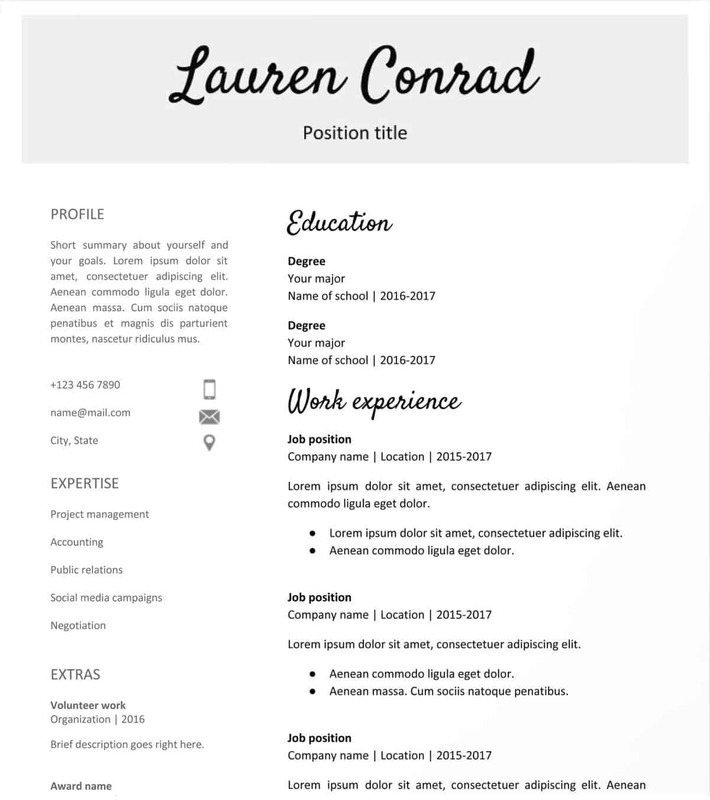 Google resume templates offer both traditional and modern designs and styles, so you can select the right layout that suits the company you are applying to. 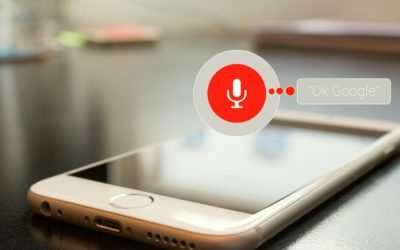 If you’re ready to take your resume to a more professional level, you can easily take a peek at the Google resume examples. I understand sometimes it’s hard to choose among the many options. That’s why I am making it quick and convenient for you. Built-in Templates — These are the templates you can find straight in Google Drive, particularly the Google Docs section. This is the easiest to work on since there’s hardly any formatting you need to do. Simple and Structured Templates — Call these the traditional or conservative type of templates. They’re clean and sleek and are excellent for highly technical or academic jobs. Colored and Polished Templates — Templates these days are now available in a variety of designs. 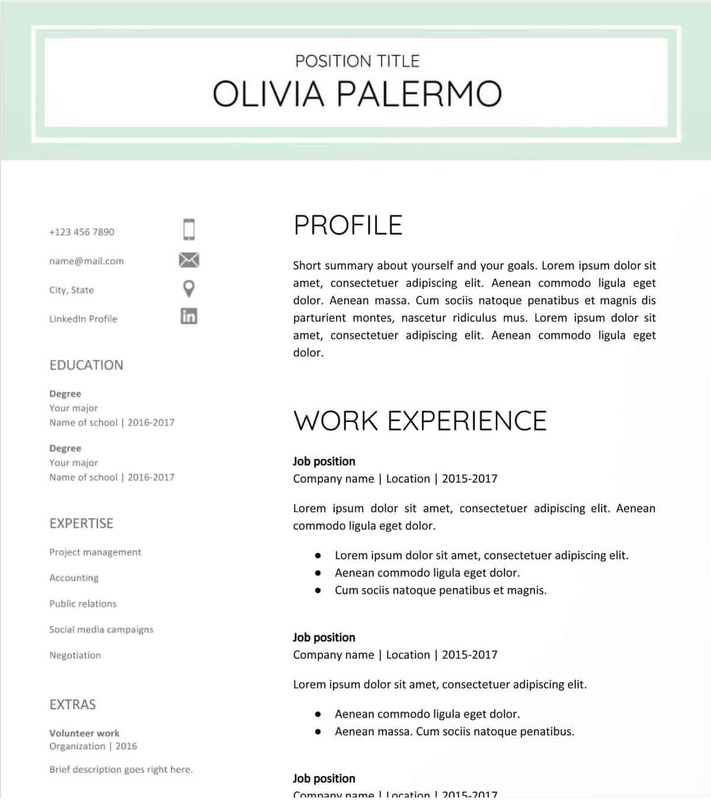 Some of them feature colored blocks to highlight specific sections in the resume or CV. Creative Templates — If the job you’re eyeing demands artistic or visual abilities, use any of these templates. You can also consider these if you want to make your resume stand out. First things first — learn how to access a Google Docs resume. Select the template you prefer, remove the default text, and replace it with your own. The program saves all the changes you made on the document automatically. 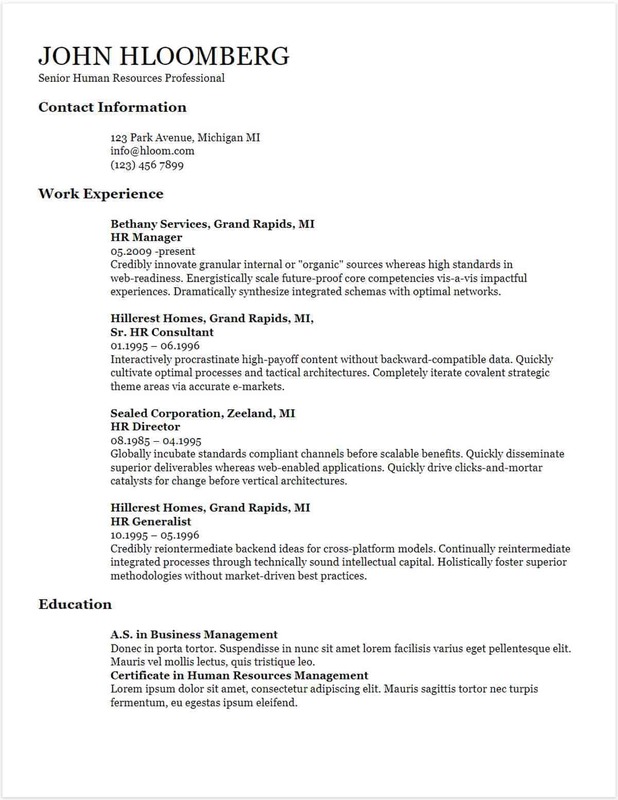 This free Google Docs resume template is also easy to read since thick black lines separate the elements. In some cases, it can be really difficult to fit all your work information on a single page. 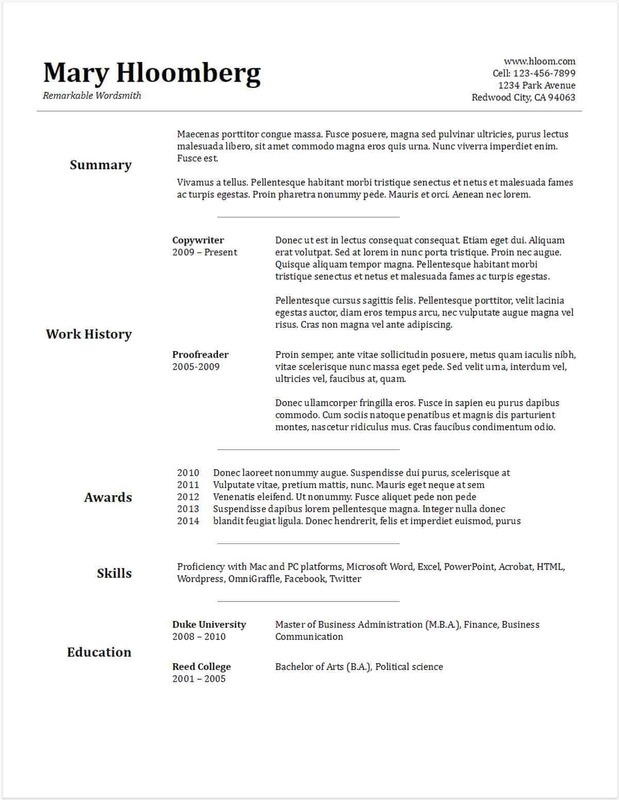 If you still want to submit a one-page resume, use this template. 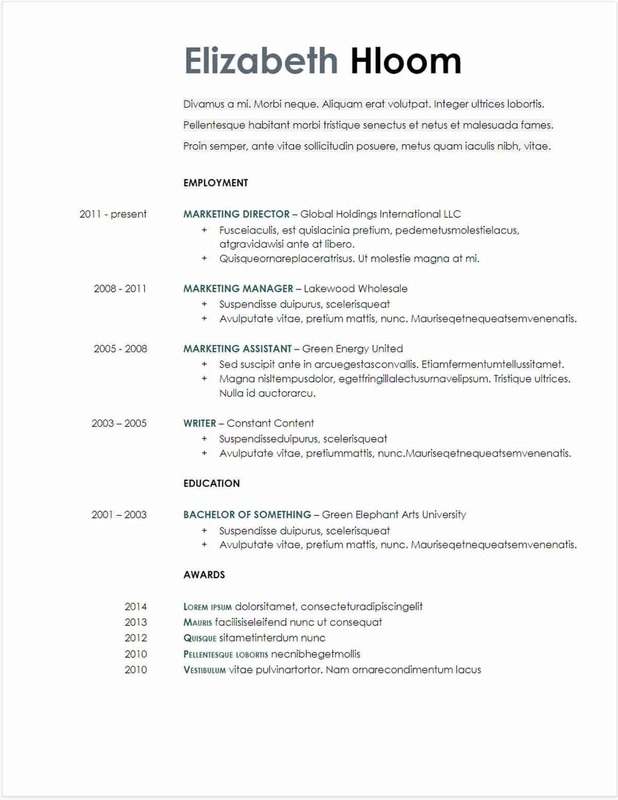 This resume template for Google Docs uses two columns with specific labels for easy reading. This can also be handy in teaching students how to maximize copy space. 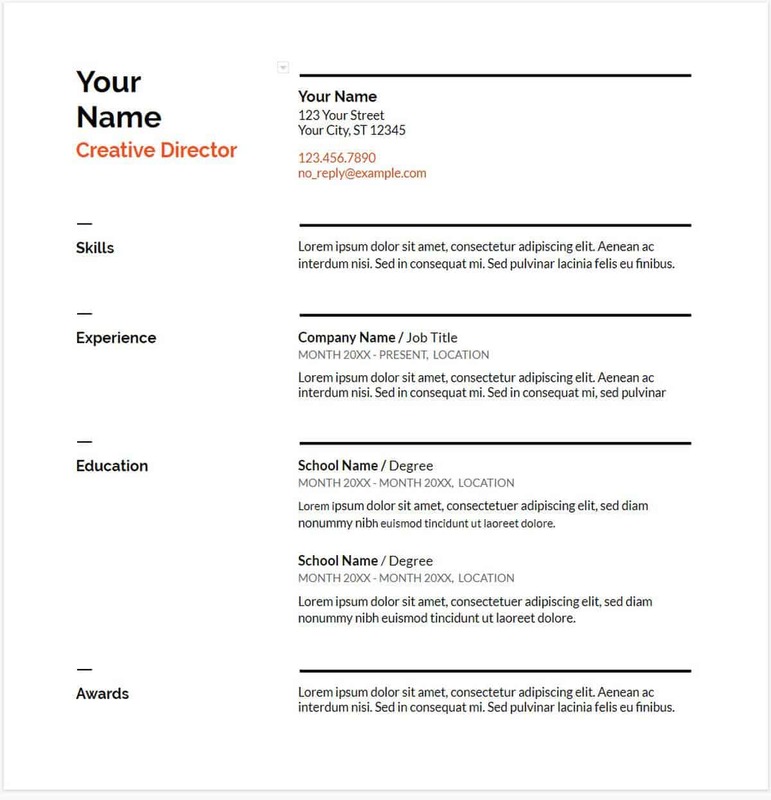 This resume template contains titles in trendy coral. It allows your resume to stand out and is easy to skim through. It also has basic formatting, which can appeal to corporate managers. 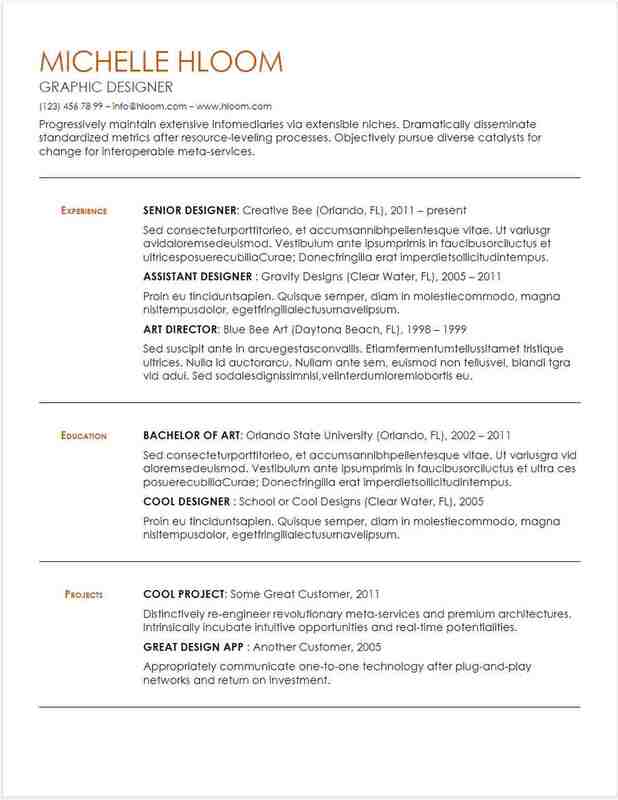 This Google resume template is like “Coral.” The distinct difference is the color. It also has a minimalist format, but there’s enough space to add your professional photo. The “Modern Writer” template is unique since it starts with your contact information rather than your name. 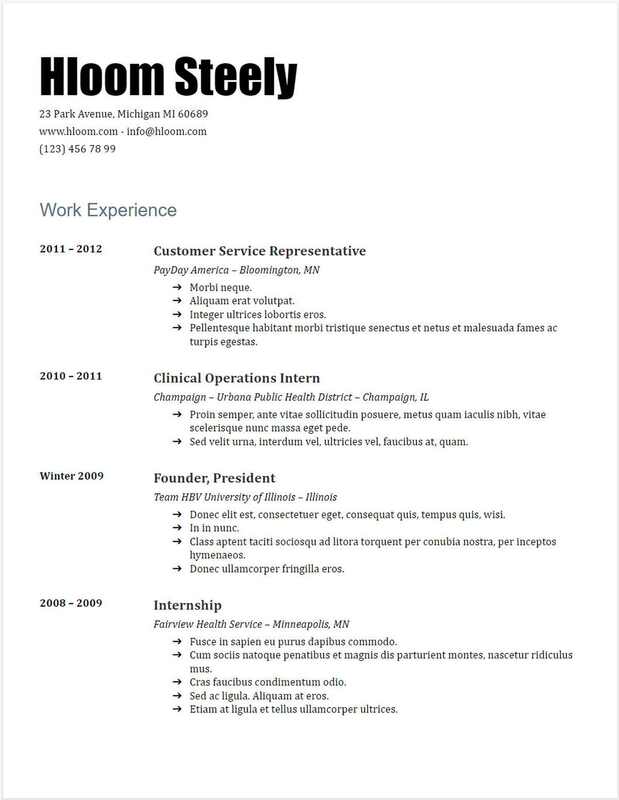 The resume header also pops out because of the black line. The headings are in fuchsia to make them more visible. It’s a nice free resume builder to use if you have a LinkedIn profile. As you can see, a URL is in fuchsia too! Sometimes a free Google Docs resume template may not be enough. You can look for an editable resume elsewhere. Often, you need to download the copy first, upload it on Google Drive, and then edit the document. The good thing is you can still edit the file online or offline. They’re easy to spot. They’re plain-looking with rarely any color except for black. They also feature the standard two-column format, with one of the sides used for subheadings. The upper section usually contains the name of the applicant and the contact details. They also utilize bullets to list down accomplishments and qualifications. The simplicity of these Google Docs resume templates may disappoint the others. It’s important to note, though, some industries still prefer something traditional. 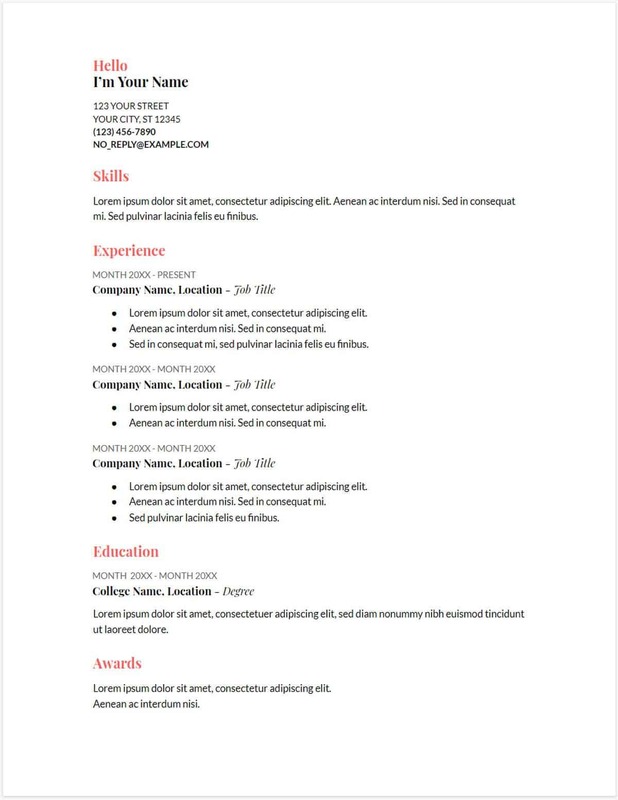 A free Google Docs resume template in this category also lets you exert more effort on the content than on the visual design. For Google Docs users looking to make a lengthy resume or curriculum vitae, this can be a good option. The file is five pages long, but you may remove sections you don’t need. 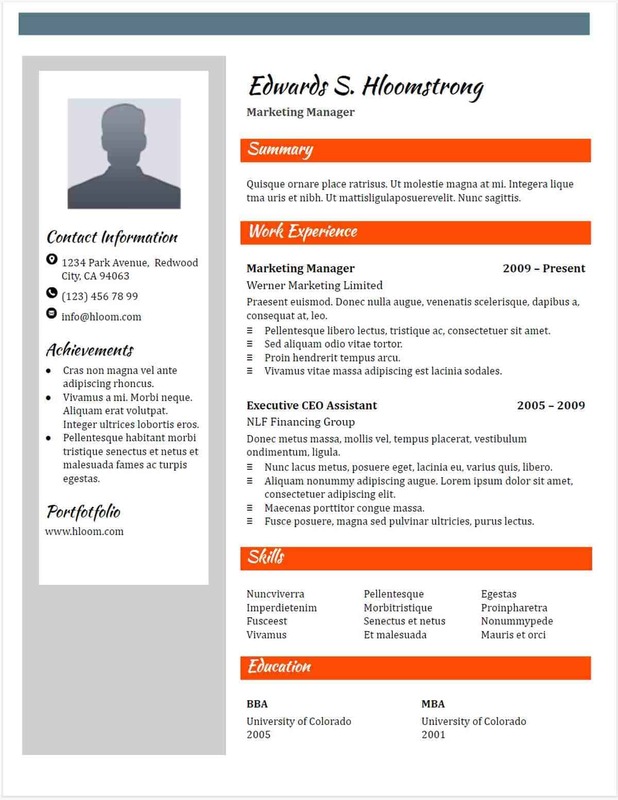 Download Simple CV Resume Template from Vertex HERE. This free Google Docs resume template is available at Upresume. It works well for those applying for jobs in traditional industries. This resume template Doc is clean and sleek and provides a lot of space for the job description. 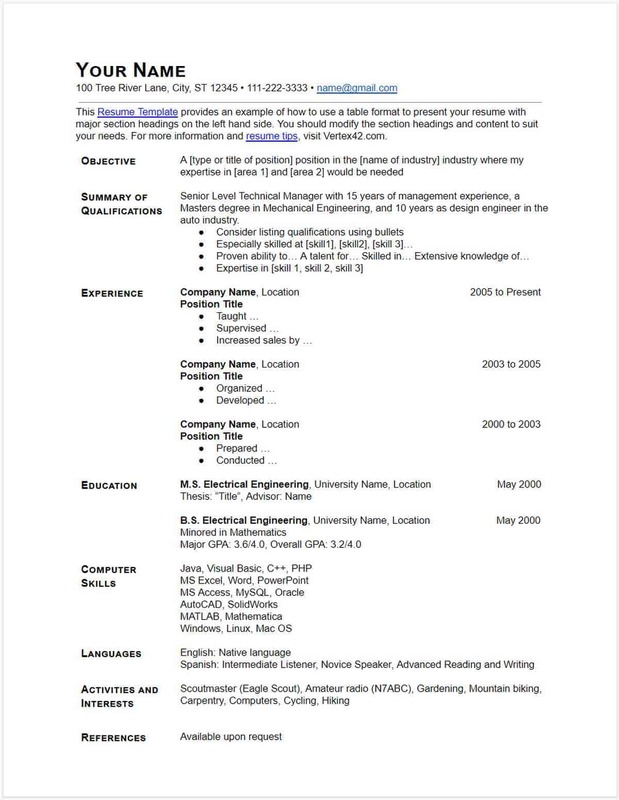 Download Saturn Google Docs Resume Template from Upresume HERE. Another design from Upresume, it uses a three-column format. It is suitable for those who want to condense a lot of information on one page. 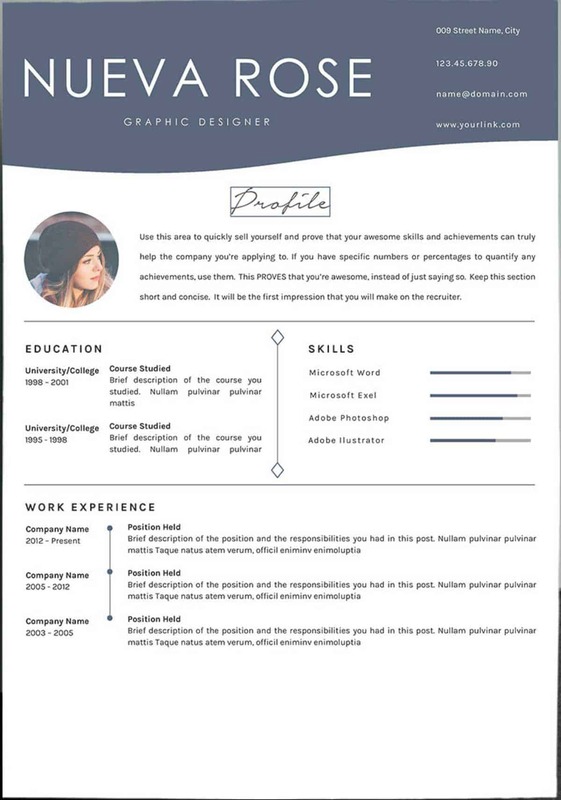 Download Mercury Resume Template from Upresume HERE. This is a clean text-based layout from Hloom designed to highlight your projects. If you’re a creative professional looking to emphasize your successful work, this file can be a good bet. Download Substantial Gdoc Template from HLoom HERE. “Talented Gdoc” is a straightforward and simple traditional resume or curriculum vitae. It is best for professionals who value substance over design. This can work as an RN resume template, which may need a more academic type of formatting. Download Talented Gdoc template for Hloom HERE. 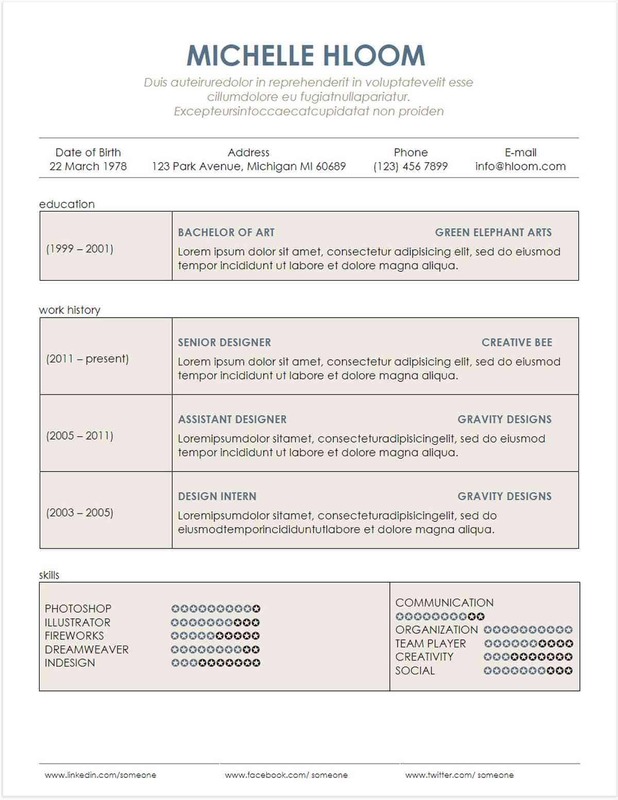 If you’re a detail-oriented person, this job resume template will not disappoint you. You can be specific with your objectives and key traits you think will help you land a job. You can also talk about your work history in greater detail. Download All the Information Gdoc template from Hloom HERE. This bulleted template uses a chronological and straightforward format for your biographical data. 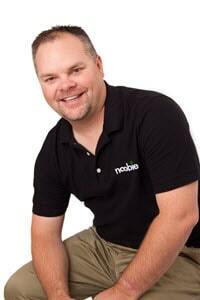 It’s excellent for professionals who want to boast personal information and experience. Download Button-down Gdoc template from Hloom HERE. For many hiring managers, only one thing matters: work experience. With this layout, you can place your job history front and center. Download Goldfish Bowl Gdoc template from Hloom HERE. 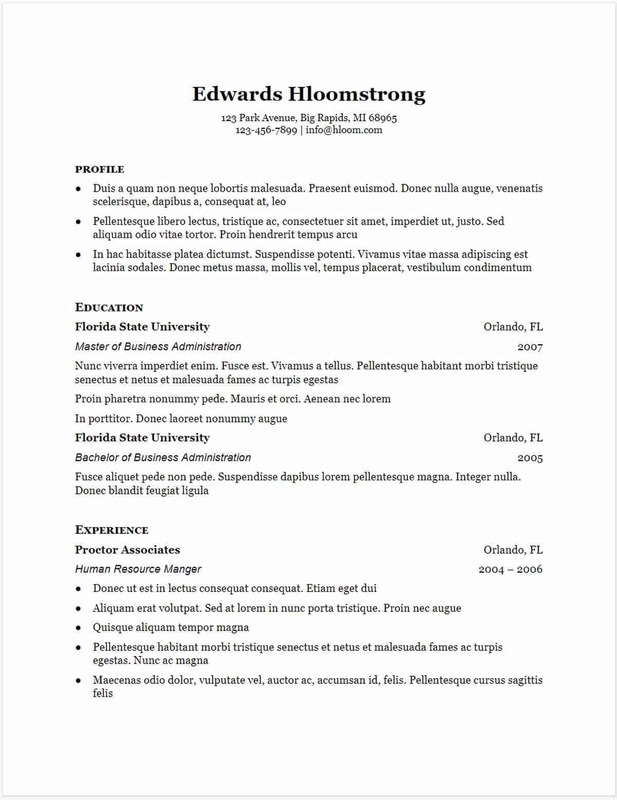 This resume builder comes with a simple, clean, and professional format. It is excellent for new graduates since it highlights your academic achievements. It also lists education first before work experience. Download Traditional Elegance Gdoc template from Hloom HERE. “Upfront Gdoc” comes in two columns. The design makes scanning your resume easier. You can easily view the work and academic background with its clean layout. It’s one of the Google Drive resume templates suitable for applicants with extensive job history. Download Upfront Gdoc template from Hloom HERE. When you need to put a spotlight on your long work background, use Hloom’s “Steely” template. It also features a two-page layout, so you don’t overwhelm the hiring team. Download Steely Gdoc template from Hloom HERE. The job market is competitive, so there’s always the pressure of making your resume or CV stand out. What do you do then? Here’s a good strategy: be subtle but brave. 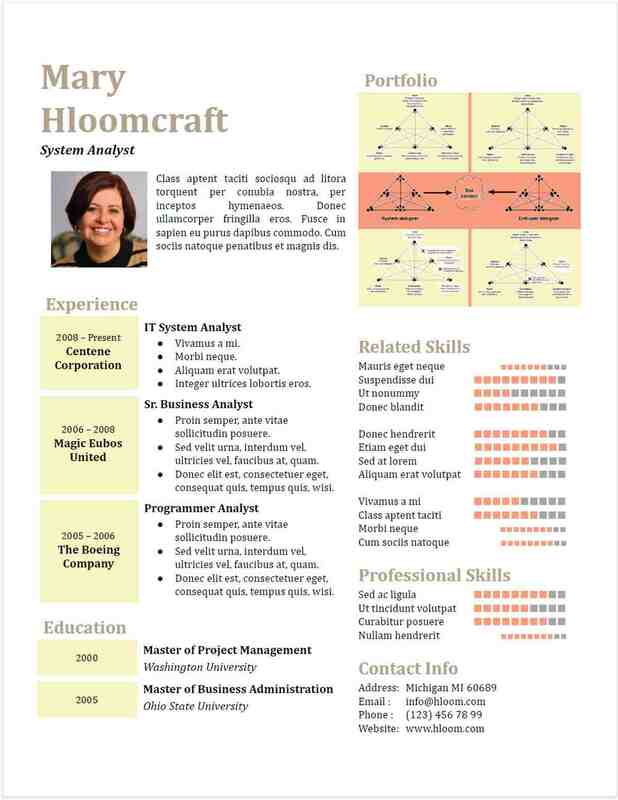 A colorful but polished free Google Docs resume template can help you achieve that. It lets winnable parts of your resume or CV pop out. At the same time, the visuals won’t overwhelm the content. Its choice of color scheme makes it unique but still professional looking. Download Streamlined Gdoc template from Hloom HERE. 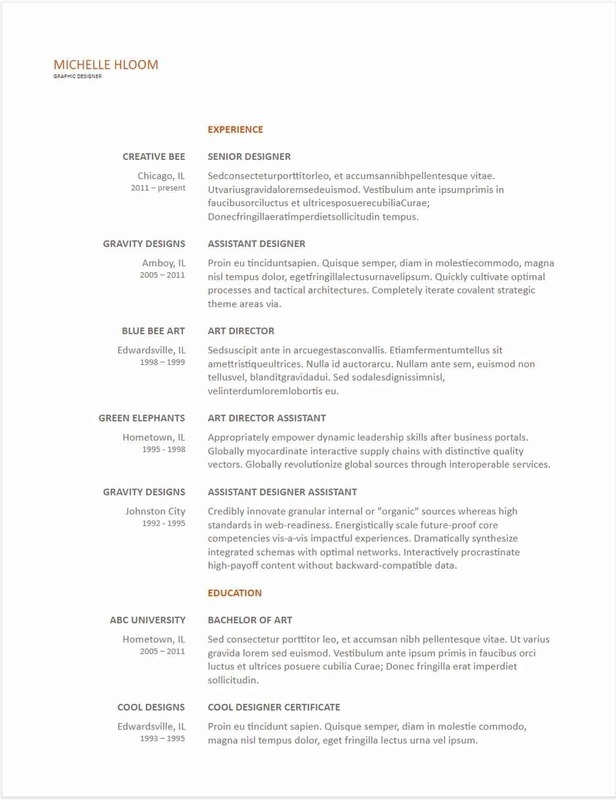 Behance’s Michael Neuhauser also made a resume template that is legible and creative. It places a lot of emphasis on your name and contact information. The content is in German, but you can always edit it into another language. 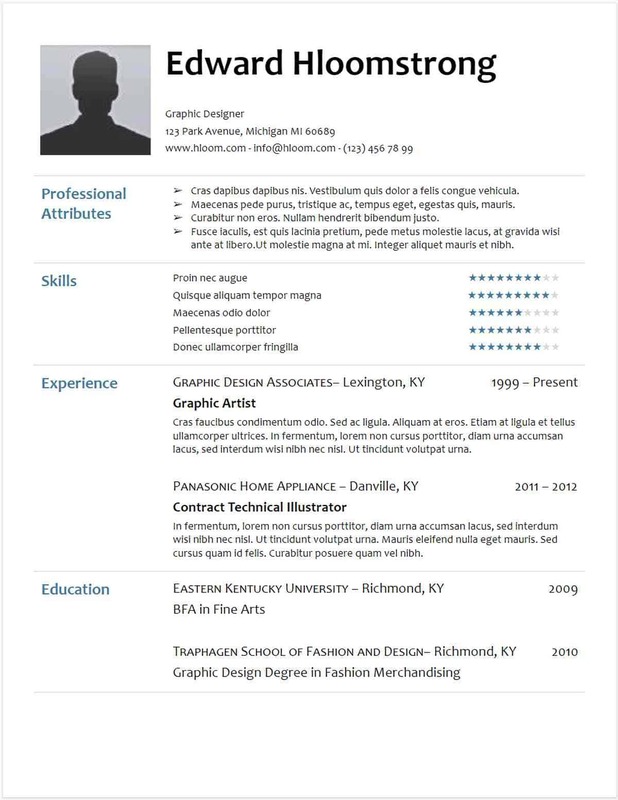 Download Resume Napea template from Behance HERE. 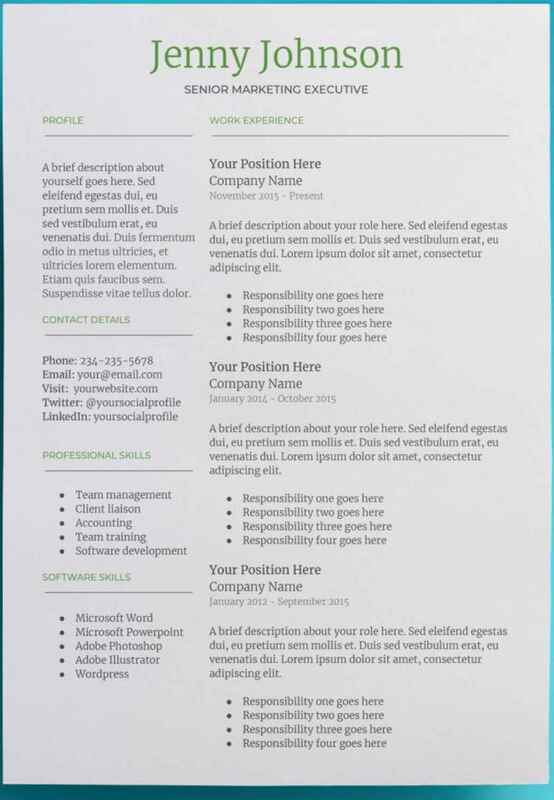 Here’s another beautiful job resume template you can download from DesignStudioTeti. “Polished and Fresh” appears professional, classy, and elegant. It’s an excellent builder to use if the company’s likely to receive a lot of CVs for different jobs. It highlights the position you want, which you can write at the top. Available at Etsy, it comes with a free Google Docs cover letter template. Download Polished and Fresh template from Etsy HERE. “Blue Side Gdoc” is an elegant template with its two-toned theme. There’s enough space to list your professional achievements and awards. The aquamarine column accent helps create a polished and eye-catching effect. Download Blue Side Gdoc template from Hloom HERE. This is a functional template that features a clean two-column format. It focuses on your skills and work experience. Download List of Expertise Gdoc template from Hloom HERE. The format’s orange color can bring a hiring manager’s attention to important information. Download Technical Special Gdoc template from Hloom HERE. Does your work require you to be creative or artistic? Then, these creative and beautiful Google Docs resume templates are what you need. They can make managers and HR officers notice your resume or CV fast. If that isn’t enough, humans are visual. We tend to absorb information better when we use graphics or symbols than text. It explains why social media, infographics, and videos are popular marketing strategies these days. Whether you’re a graphic designer, photographer, or someone who wants to impress your future boss, you can benefit from these beautifully designed templates. 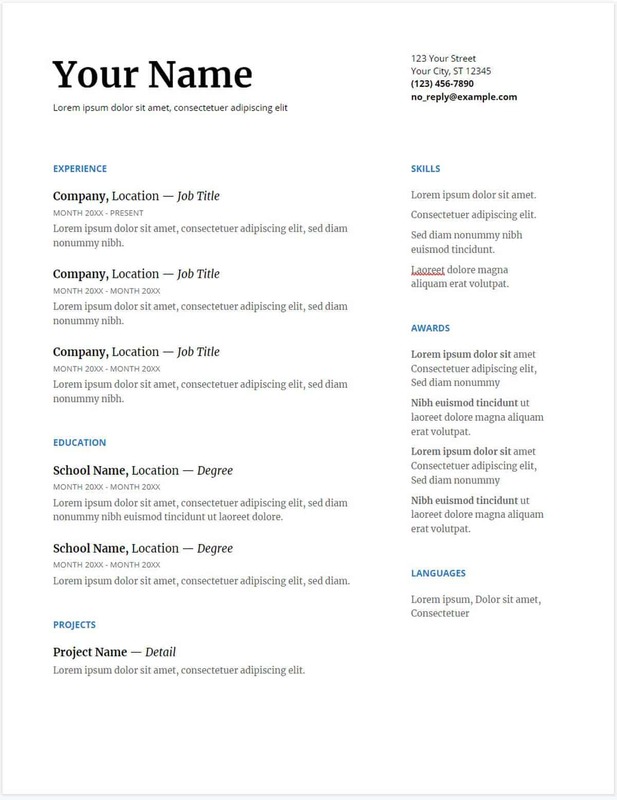 Are you looking for modern resume templates? Use this resume builder from DesignStudioTeti. The font style looks like they are by hand, adding a personal touch to the resume. It has a special section for expertise, while the meat of the content is in the center. Download Handwritten Headlines template from Etsy HERE. 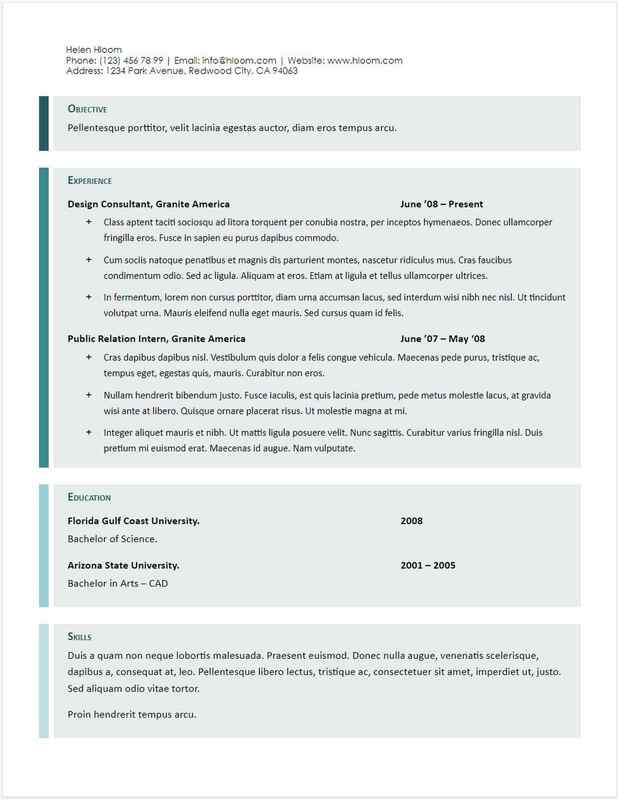 If you wish to showcase a bit of your portfolio, create a resume with this formatting. It also contains bold graphics and designs that highlight your professional skills. Download Sequences Gdoc template from Hloom HERE. “Ardent Gdoc” is an excellent free resume builder for customer service and sales professionals. It places the headshot at the center and emphasizes the key skills. Download Ardent Gdoc template from Hloom HERE. This template provides a clean graphical display of your professional skills and attributes. Its layout also comes in four rows for quick reading. Download Glimmer Gdoc template from Hloom HERE. Are you a graphic designer, photographer, or artistic director? 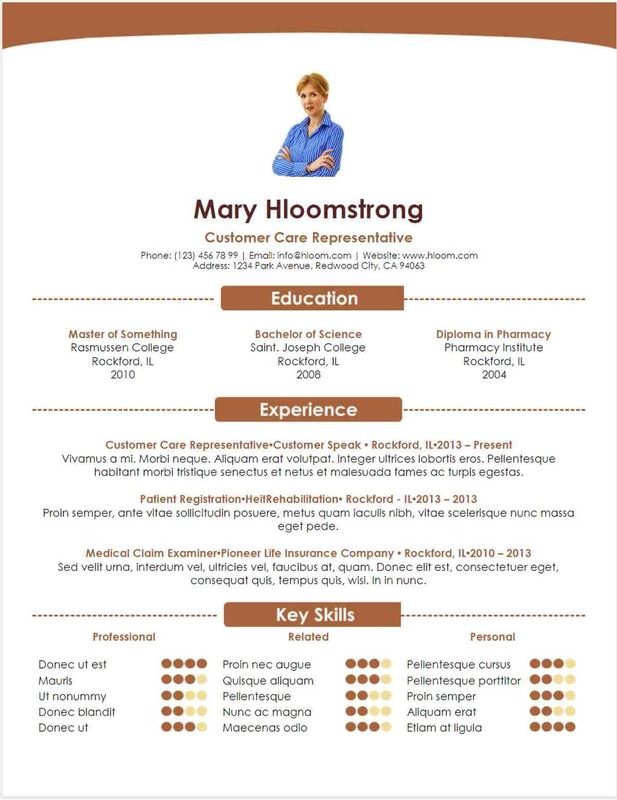 Use this free Google Docs resume template to showcase your portfolio. It provides a space for visual work and lets you use graphics to improve your resume. Download Circles Gdoc template from Hloom HERE. Sometimes, the lines don’t make the resume much easier to read. “Organized Gdoc” resolves that by grouping categories into tables! It also helps managers focus on the elements they think are essential in the hiring process. 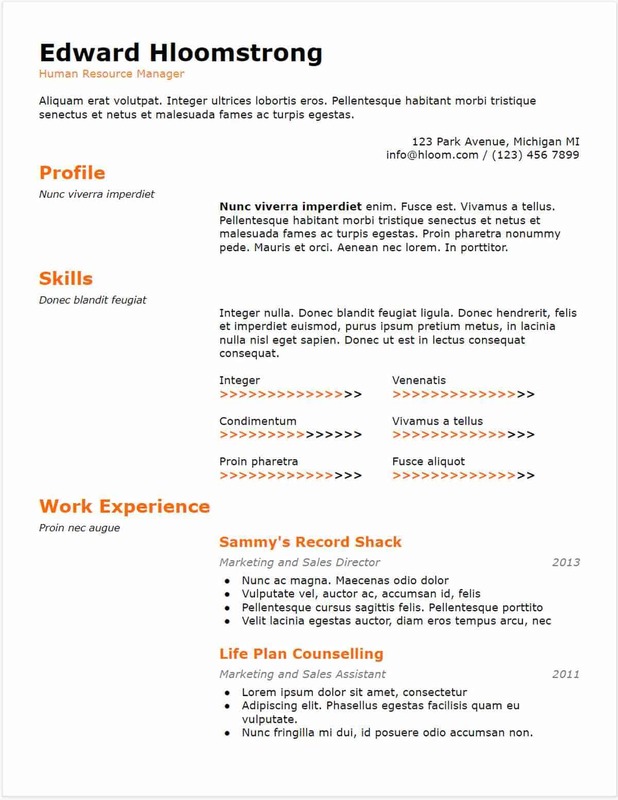 The colors make the document stand out, but they don’t overpower the resume design. Download Organized Gdoc template from Hloom HERE. The “Artistic Flyer Gdoc” is eye-catching. It has a colorful design and uses Sans Serif and Serif typefaces. 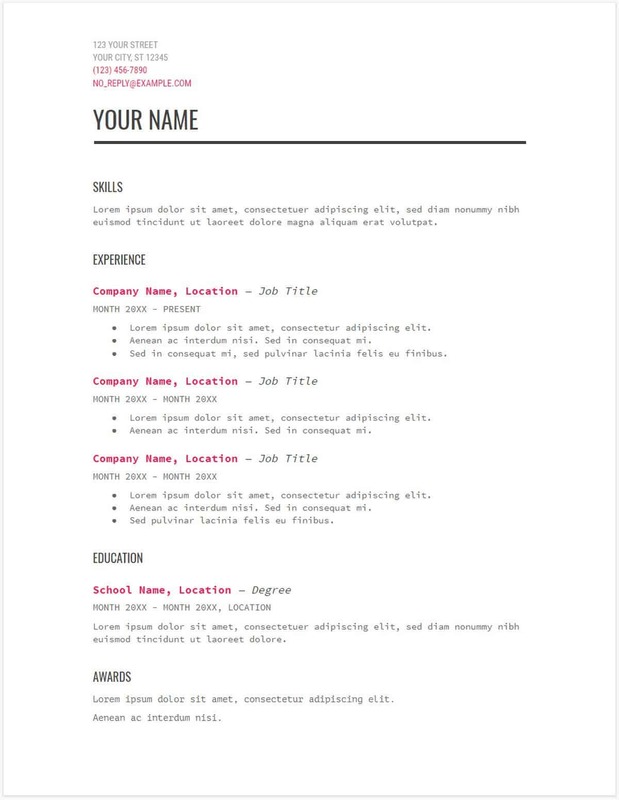 This free Google Docs resume template is perfect for marketing professionals who want a high-impact resume. Download Artistic Flyer Gdoc template from Hloom HERE. Do you find the other designs above too much? You can still combine creativity with structure and elegance. “Nueva Rose” features a distinct heading with its wavy border and darker background. It also has an excellent method of dividing different categories. In turn, you have an easy-to-read resume or CV that is unique. Download Nueva Rose template from Etsy HERE. When it comes to the best resume template, you can go beyond a free Google Docs resume template. You can download more options and still edit them anytime and anywhere. You can also customize their look and content to suit your needs and can remove as many sections as you want or add more. Note, though, a good-looking resume can only get you so far. 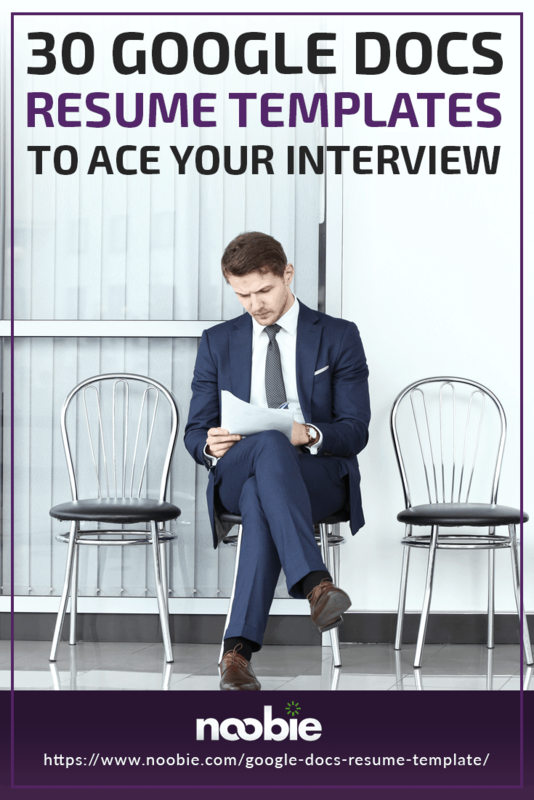 To win the job, know your resume and be confident during the interview! Which of the Google Docs resume templates above is your favorite? Share your choices in the comments section below. 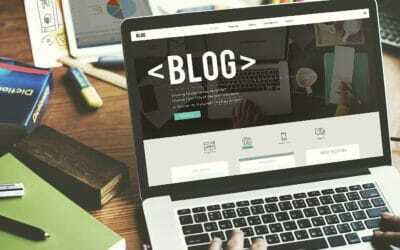 Editor’s Note: This article was originally published on April 26, 2018, and has been updated for quality and relevancy.